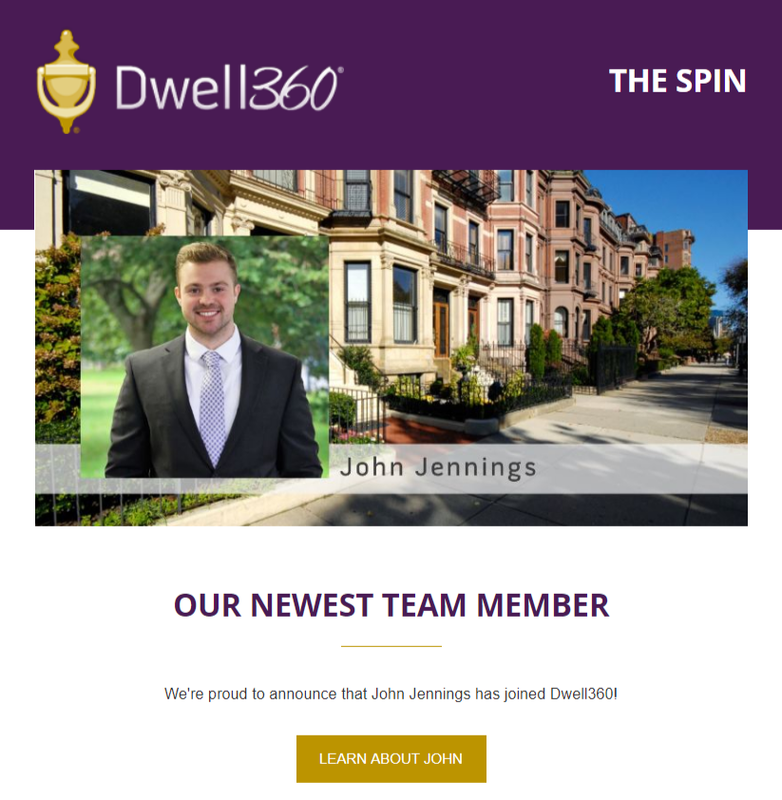 John Jennings joins the Dwell360 team! We are proud to announce that John Jennings has joined Dwell360! The Spin: New Year, New Tax! 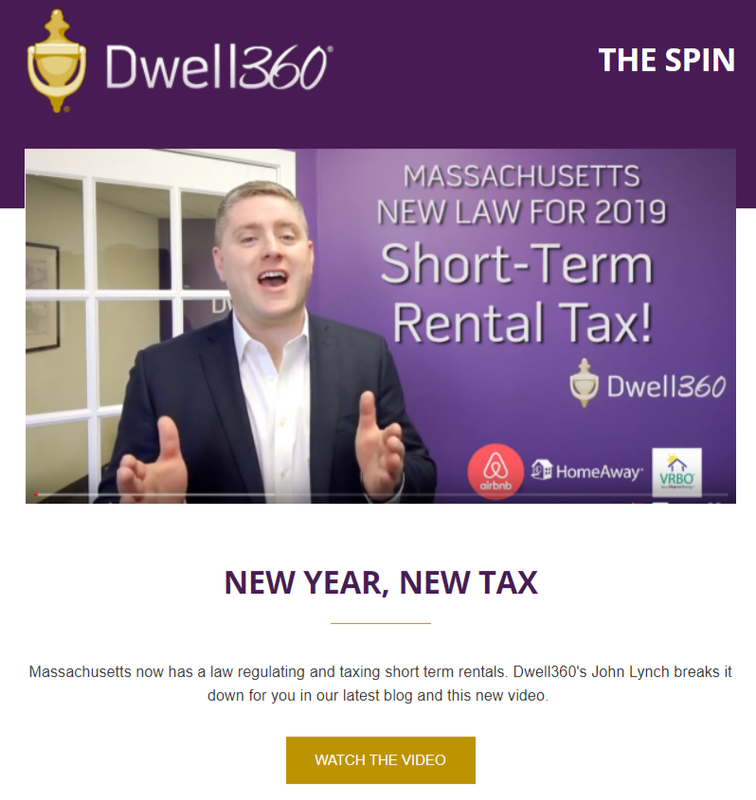 New Short Term Rental Law in MA! 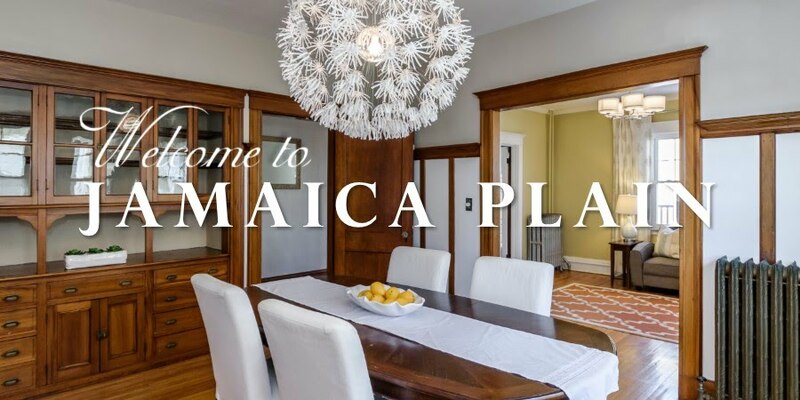 Lovingly referred to as ‘JP’, Boston’s Jamaica Plain neighborhood is abundant with local restaurants, green spaces, and a diverse community that makes it a wonderful place to live or visit year round. 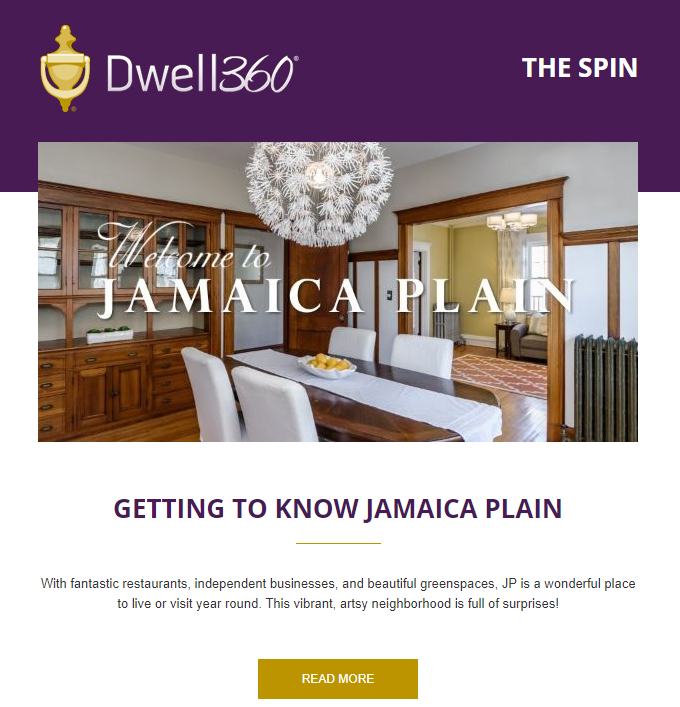 The Spin is Dwell360's monthly e-newsletter containing unique and fun local events, home design advice, and real estate news. Click to see The Spin November 2018. Just north of Boston is one of Eastern Massachusetts’ most historic and innovative cities: Cambridge. For Sale by Owner (FSBO) transactions certainly seem appealing; it can appear that it is easier to sell without help and that you can maximize your profit by not having to pay an agent’s commission. The truth is, in fact, the opposite. No More Waiting: The Market Report Is Here! The Spin: Just listed in JP! We are proud to present the final episode of Meet Dwell360 with our very own John Lynch! 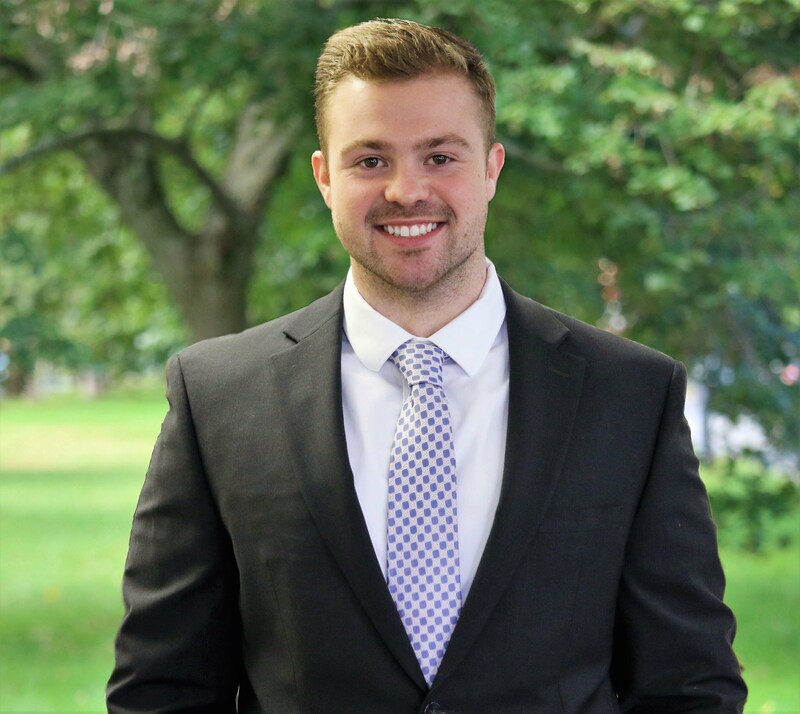 Find out about our co-founder in this can't-miss interview! Wellesley, Massachusetts is a picturesque town just 15 miles outside of Boston boasting beautiful homes, great schools, and charming character that make it a great place to live. We are thrilled to introduce the newest member to the Dwell360 team, Martika Jenkins! Watch to learn about her unique experiences and what she likes to do for fun! Keep an eye out in the coming weeks for more episodes profiling each of our fantastic team! 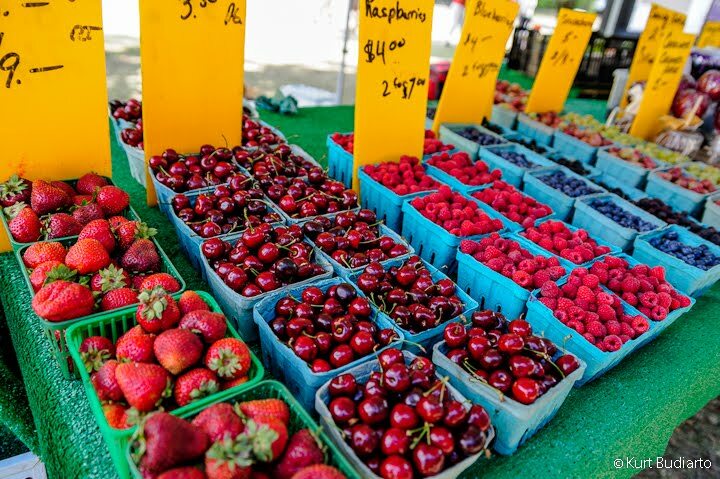 Nestled between Newton and downtown Boston, Brookline, Massachusetts is one of the country’s most notable suburbs with a bounty of history, top notch food and school systems, and culture on every corner. Dwell360's Sandra Siciliano has an interesting history and a beautiful family - don't miss learning all about her in the latest episode of Meet Dwell360! You might recognize Jennifer's bubbly personality from a recent listing video but do you know about her favorite restaurant? Find out in our latest episode! You won't want to miss HEARING from our admin, Loretta Kelly! Check our Episode 3 of our Meet Dwell360 Video Series below! You know one of our founders, Edward Johnston, is a great REALTOR, but do you know about his favorite sports team? Find out in our latest episode of Meet Dwell360! Tune in for the first of our Meet Dwell360 Video Series, where we help you get to know the agents and staff that make up our real estate brokerage. This blog was written by Jennifer Mattson, a Dwell360 REALTOR® and Relocation Specialist. Are you on The Spin yet? Whether you’re looking for inspiration for a revamp of your own home’s design, or just like drooling over the swoon-worthy rooms, these Instagram accounts are sure to please with their flawless style and impeccable taste. Follow one or follow them all! Do you get The Spin? Dwell360 is pleased to present this article, written by Leonardi Aray Architects. The beautiful city of Newton continues to grow with a recent proposal from Northland Investment Corp. to transform Newton’s Upper Falls. 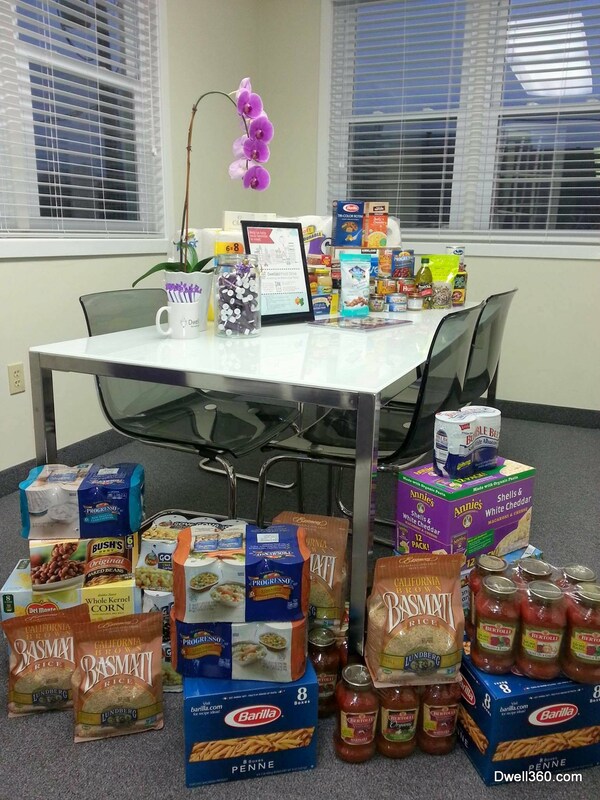 The holiday season is the perfect time of year to redirect our focus on others and give back to our local community. 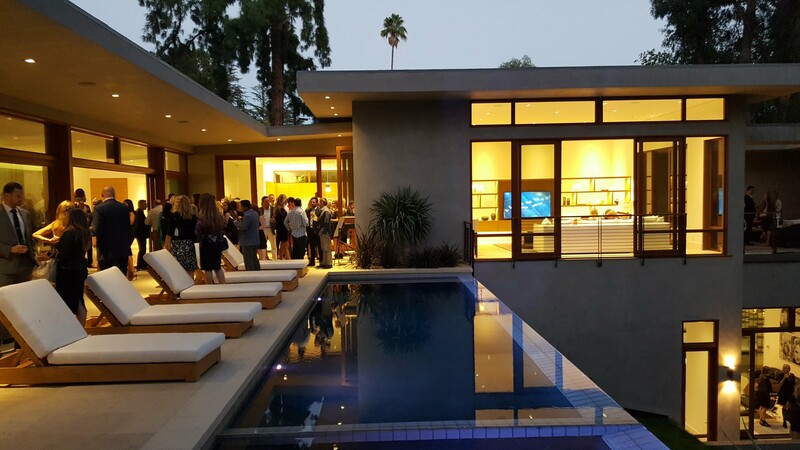 Despite cloudy skies and the threat of rain, Dwell360's Big Annual Open House Party went off without a hitch this past weekend! With a so many buyers searching for their perfect home, it is supremely important that any home for sale is marketed properly to ensure success for the seller. At Dwell360 Real Estate, we reach above and beyond normal measures to ensure our listings reach every possible buyer. Videos are the future of marketing, especially in real estate, and we are constantly striving to stay at the forefront of innovation to best serve our clientele. 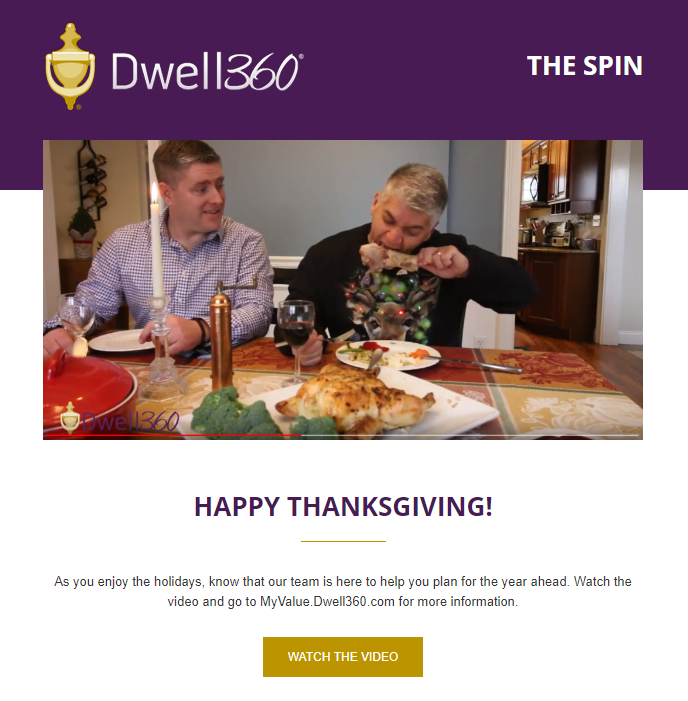 By leveraging video and social media, Dwell360 is reaching a wider audience than ever before. For a recently listed property in Charlestown, John Lynch broadcasted live from the Bunker Hill Monument and inside the property to give viewers an exclusive look at the property before it went to market. 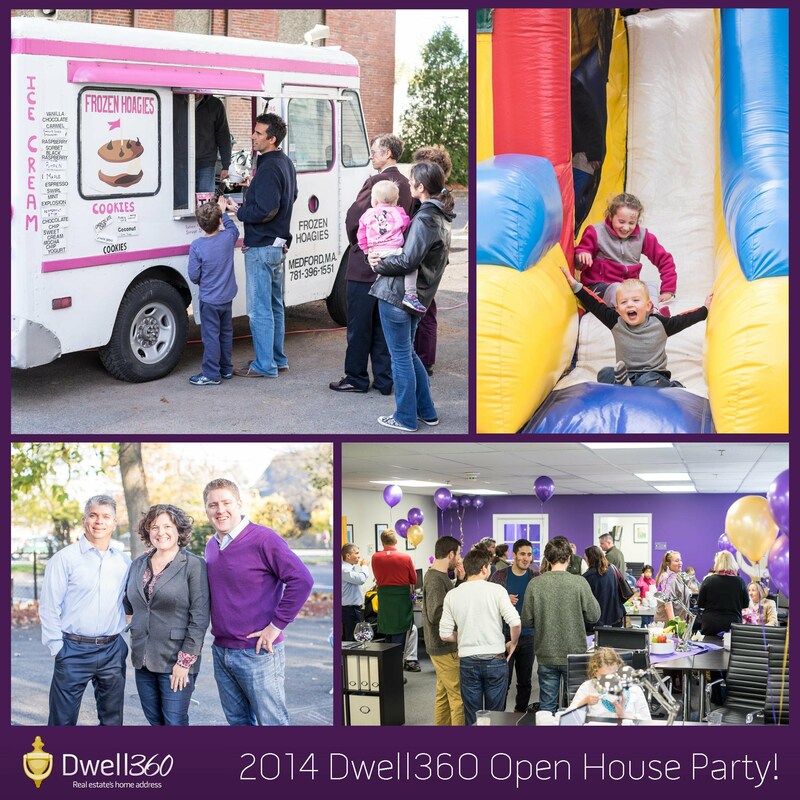 We're gearing up for an exciting fall - be sure to save the date for Dwell360's Big Annual Open House Party on 10/2 and Newtonville Village Day on 9/25! Buying a Second Home: The Time is Now! Have you ever wanted an oasis next to the beach or a cabin in the mountains? You’re not alone; many people have or desire to own a second home. For whatever the use, a second home can be a sound investment. 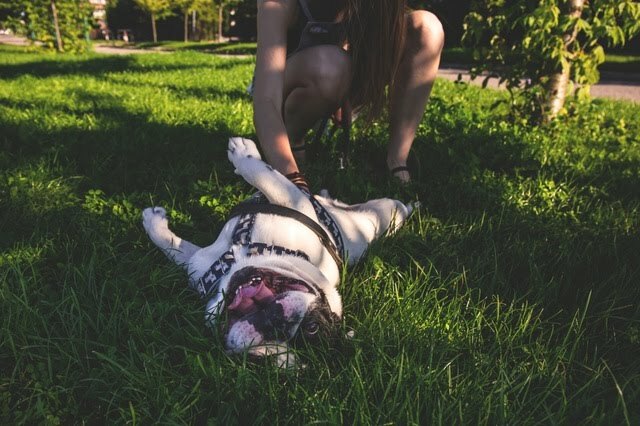 Dogs love to get outside and play especially in nice weather, but not all of us have yards or space for Fido and friends to run. Here we’ve assembled a list of Boston and surrounding areas’ best dog parks, perfect for walk or tossing a frisbee. Just have one day to devote to your vacation? We’ve got some ideas that are sure to fit any family’s needs. 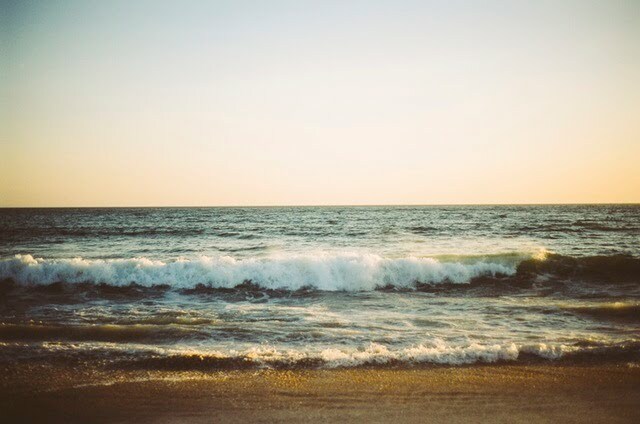 Grab your suitcase and hit the road; New England has plenty of fun summer destinations to offer. Check out Dwell360's infographic about solar energy including both national and local statistics. To view larger, click here. Check out some of our other blog posts here! 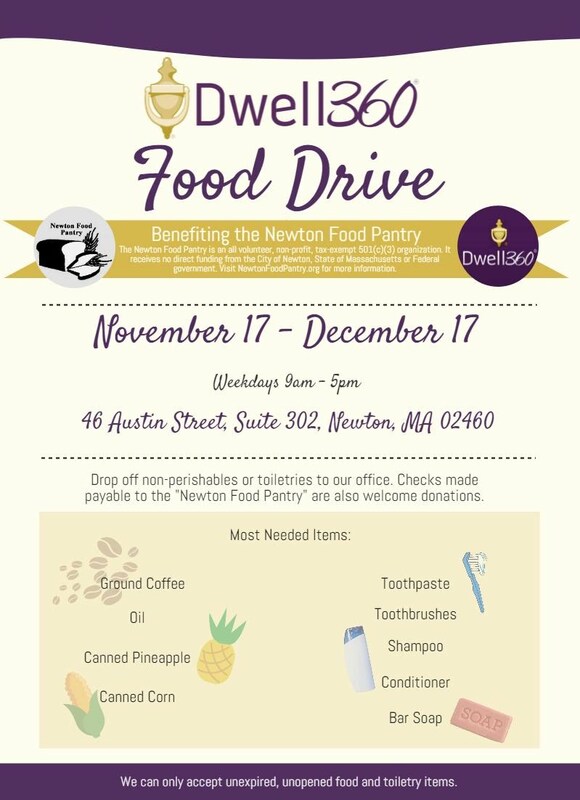 Newtonville is set to receive some substantial upgrades. Two major development projects are due to be introduced to the area, starting with sizeable plans for Austin Street. With thoughts of chill and snow vanishing in the distance, our minds turn to warm weather and what the outdoors have to offer in springtime. As such, the season makes for the perfect time to spruce up the yard. Below find our list of great local places for you to pick up anything your yard might need. New to gardening? Check out our list of 10 Easy Plants to Increase Your Curb Appeal. Spring is here, and with it comes many events throughout Boston and surrounding areas. Whether you’re looking for an evening of music or to sample local cuisine, the list of April events below presents a bounty of opportunity to engage citizens of any age. 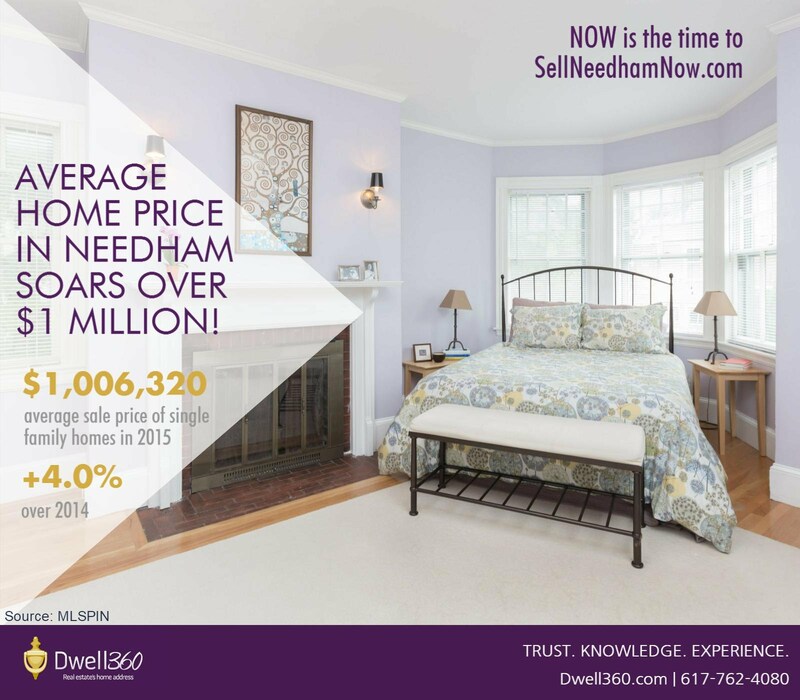 Average Home Price in Needham Soars Over $1 Million! 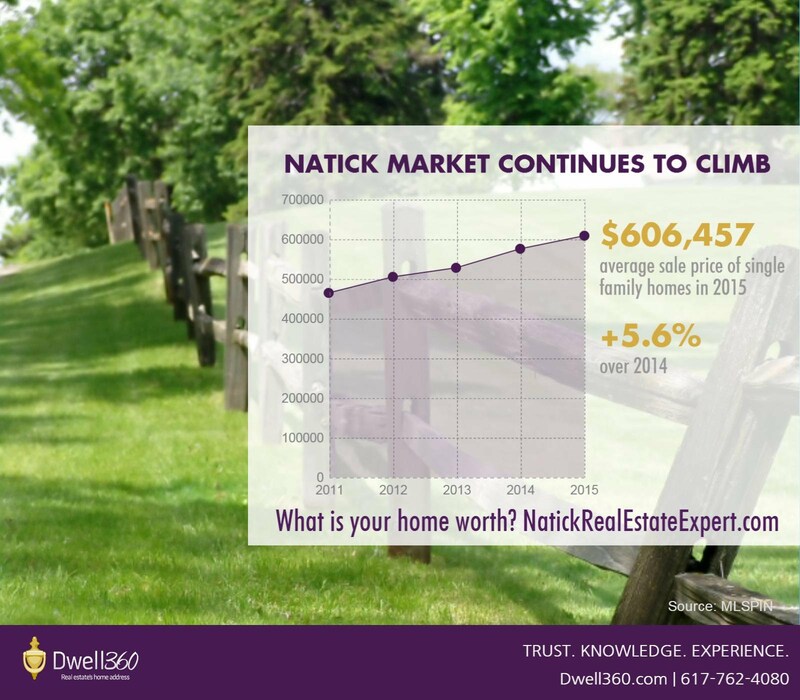 In 2015, the average price of a single family home in Natick rose to over $606k! Newton Market Reaches All Time High! Dwell360 is pleased to present this article, expertly written by our friend Bryan Kurzman, Senior Mortgage Banker and Mortgage Strategist of Leader Bank in Needham, MA. Check out Dwell360's infographic highlighting all the styles dicussed in our recent blog series. To view larger, click here. Let’s continue with our series by touching on a few more house styles! It’s no news that homes exist in many shapes and sizes. The varying features can help categorize properties into existing styles that help differentiate one from another. Each style has their own notable highlights as well as things that may attract or deter prospective buyers. What to Do About Those Damn Ice Dams! With winter snowfalls just around the corner, we can’t help but remember the power packed storms that rolled through Massachusetts last year. To avoid damage to your home this year, be prepared for one of winter’s major hazards: ice dams. The icicles hanging off the sides of your home may be pretty, but they could spell out disaster. 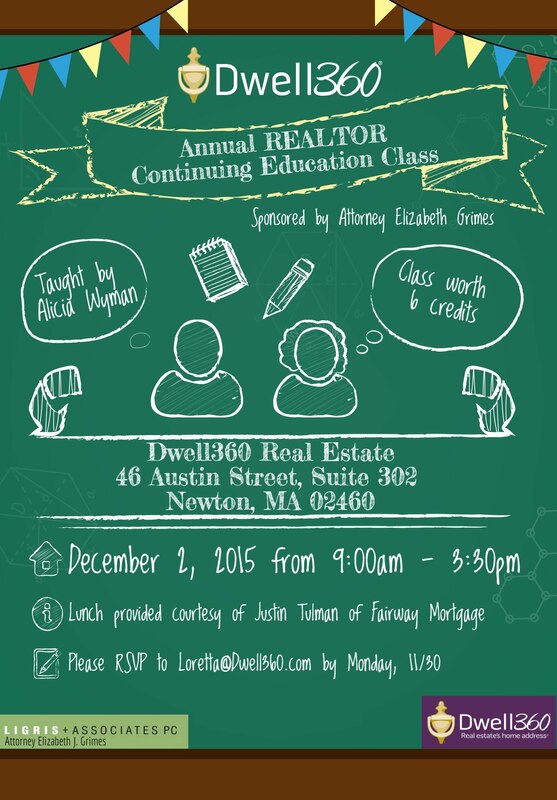 Dwell360 would like to cordially invite any REALTORS in need of credits to attend our Annual REALTOR Continuing Education Class! See the flyer below for more information. With the crisp air of winter settling in, the temperature of the home becomes of more concern to homeowners. Thermostats will be turned up, heavy blankets taken out of storage, and firewood lit. 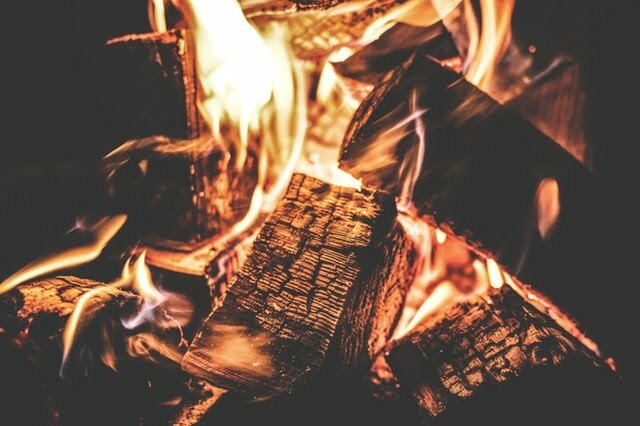 In order to ensure safety when snuggled up indoors this winter, special attention should be paid to the chimney and fireplace to prepare for the cold season. 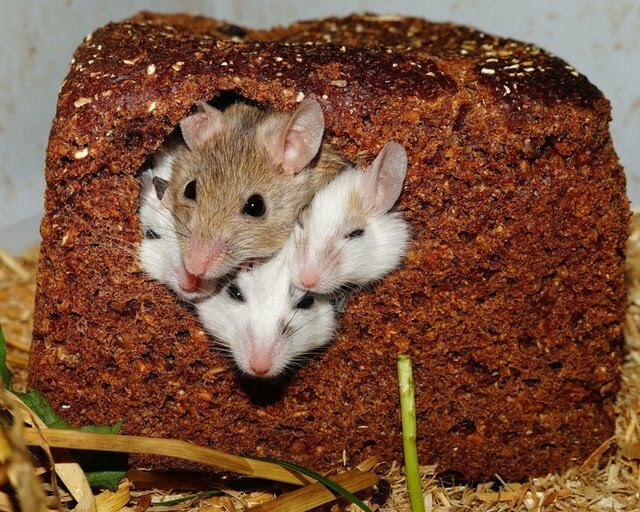 Enjoy access to our free Household Pests Guide. Check out Dwell360's infographic about household pests and the dangers they can present to homeowners. To view larger, click here. Bugs aren’t the only pests that might visit or inhabit your home; there are various other creatures that can cause problems. There are many little pests that can be a nuisance to homeowners. 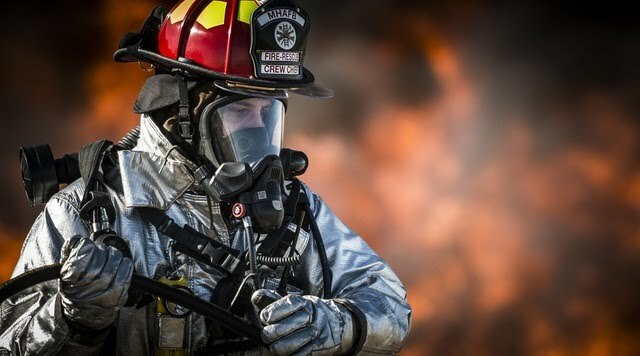 To protect your home from damage, it is important to learn about their habits so that elimination can occur stress free. 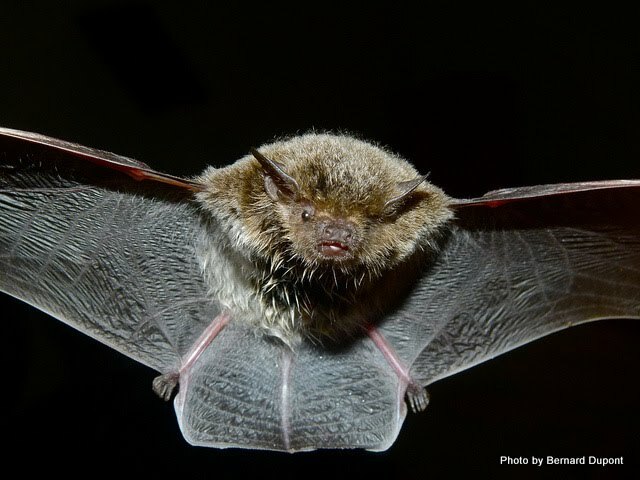 Another unwelcome guest that you might find in your home is bats. 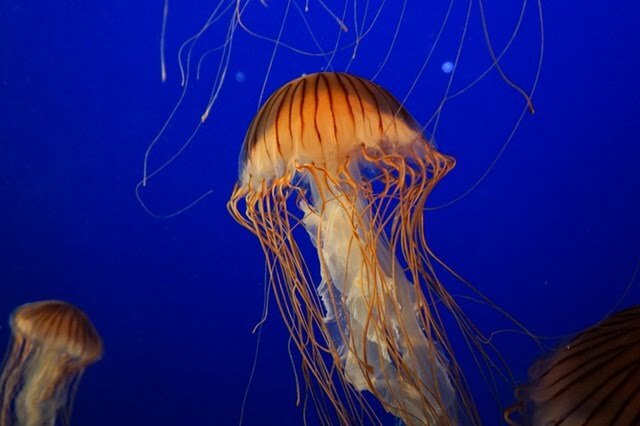 While an important animal to our ecosystem, they can have no place in our homes. Being a homeowner is a worthy investment of money, time, and energy. Crafting a house into becoming a home can be such a rewarding task. This isn’t to say, however, that there are no bumps along the way. Among many challenges, pests like termites can be an issue. Knowing about what they are and the potential for harm they cause can be the first step in eliminating problems hopefully before they even begin. You may have heard the term ‘septic tank’ before, but do you know what owning a septic system entails? Find the answers to many frequently asked questions below. 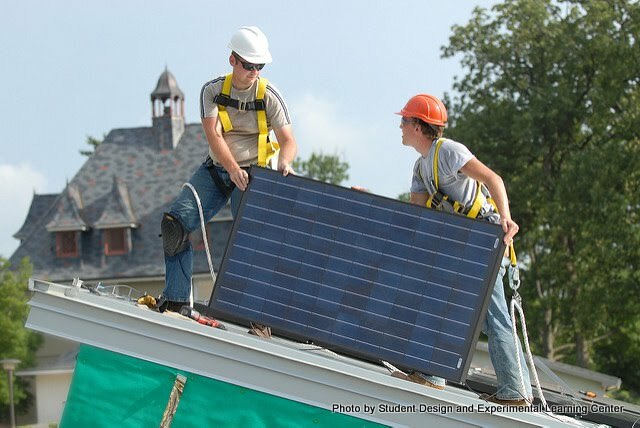 Enjoy access to our free Solar Energy Guide. As time goes on, more and more people are becoming concerned with earth conservation and renewable energy. Sometimes it may seem overwhelming; what difference can one person or home make? Truth be told, the impact may be larger than you think. 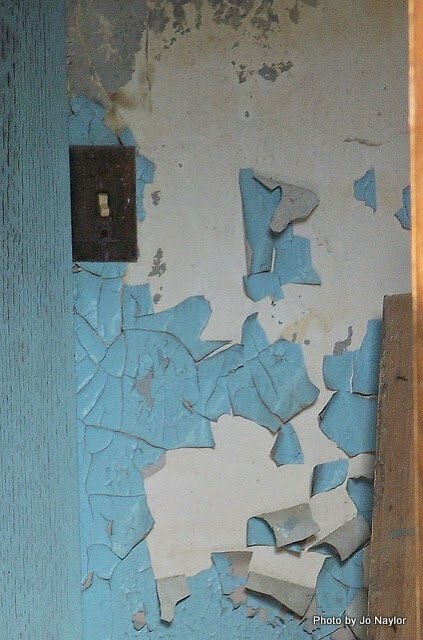 Access to our free Lead Paint Guide! Dwell360 is proud to announce their debut of a new premium listing tool: the 3D, virtual tour made possible through Matterport technology. In order to determine lead levels, the home in question should be professionally tested by a licensed inspector. 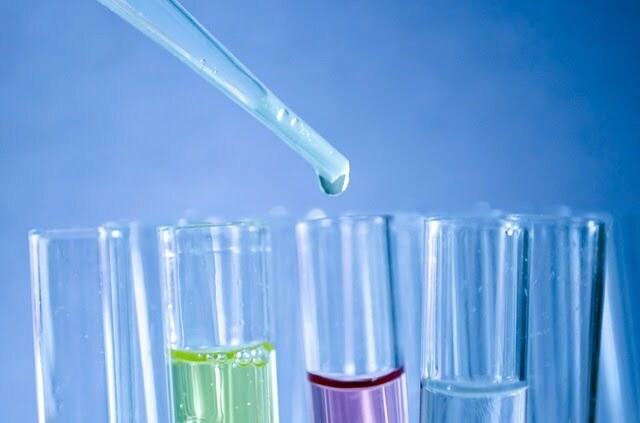 As there are many ways to be exposed to lead, there are varying methods with which to test. Check out Dwell360's infographic about lead contamination and poisoning that can occur in the home. To view larger, click here. As a buyer, seller, current or prospective homeowner, renter, or landlord, it is imperative to learn about lead paint and the effect it has on our homes and health. Spring is here so you may already be thinking about what plants will best highlight your home and enhance its curb appeal. In New England, we’re very lucky to have a bounty of flowers and shrubbery that flourish in northern soil. We’ve picked out ten easy to maintain plants that would make any garden shine. Mayor Setti Warren announced that the city of Newton has recently signed a letter of intent to purchase the former Aquinas College property on Jackson Street, subject to approval and a vote to fund the purchase from the Board of Aldermen. With the Angier School Project set to be completed in December and Zervas and Cabot not far behind with renovations, this purchase is the key to relieving overcrowding and other issues at several local elementary schools. 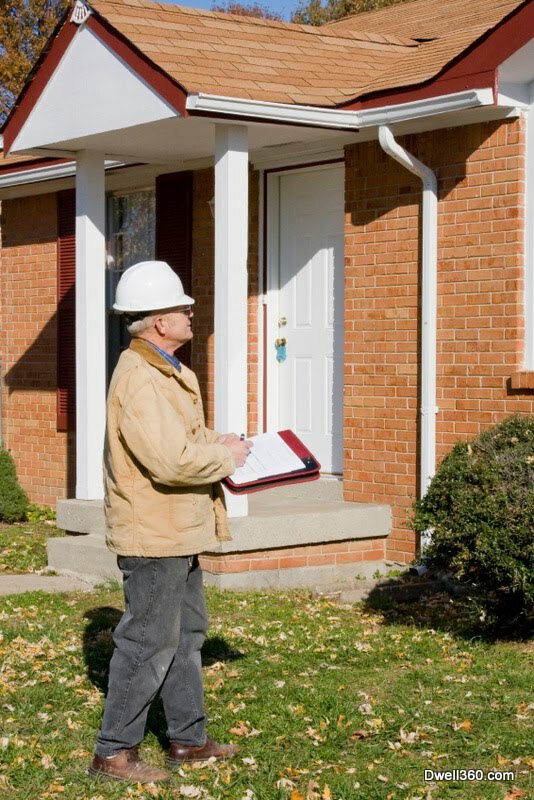 Access our free Home Inspection Guide! Check out Dwell360's infographic about common home inspection mistakes that are best avoided. To view larger, click here. By now you have chosen your inspector and scheduled a time for them to come examine your home or the one you're considering purchasing. When the inspection begins, what should you do? Congratulations! If you’re preparing for a home inspection, you’re on your way owning a new home.This is a crucial part of the home buying and selling process, so it is important to be well informed and know what to expect. 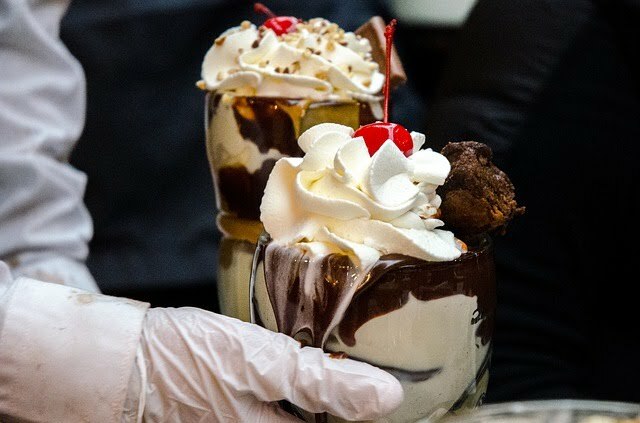 Dwell360's family and friends love eating locally; here is a list of twelve of our favorite establishments! IERG Boston's Monthly Meeting was held at Dwell360 Real Estate on February 23, 2015. Prices are UP across the city! Nearly every Boston neighborhood saw increases in 2014 as the local real estate market continues to flourish. The positive changes in the market will continue to be true in 2015, but will require sophisticated navigation to ensure success. The Natick Market is HOT! 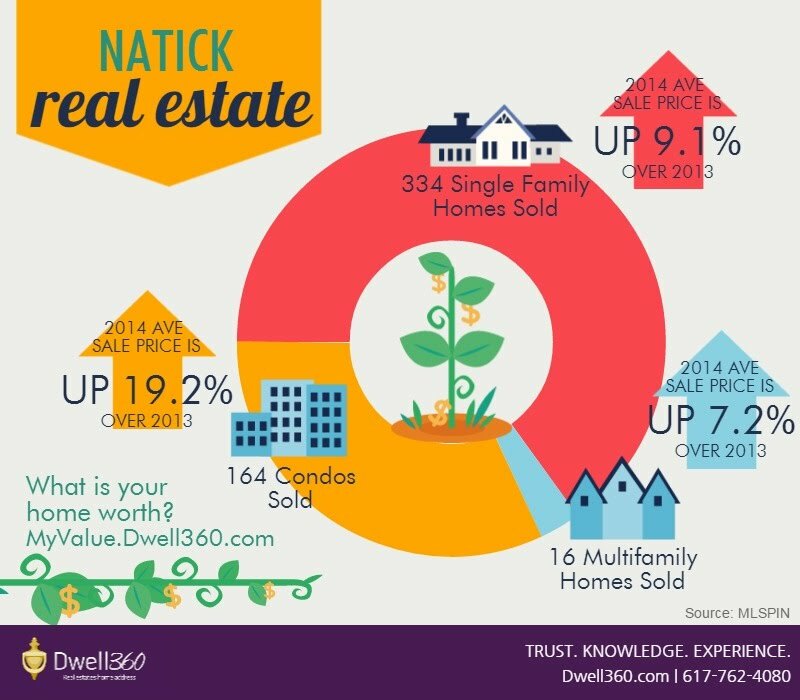 In 2014, the average price of a single family home in Natick rose to over $574k! 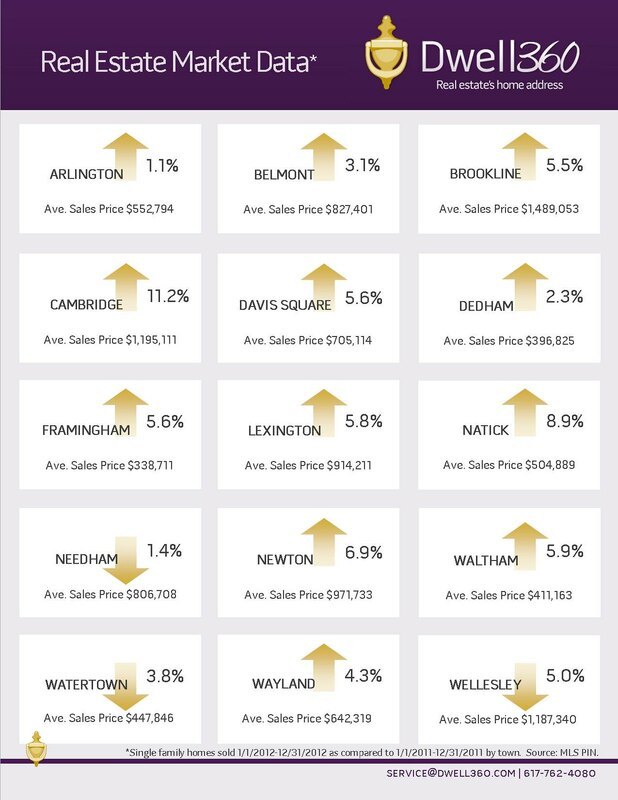 Average Prices Soar in Newton! Dwell360 is pleased to present this article, expertly written by our friends Michele Adrian, AIA, LEED Green Associate, and Leonardi Aray, AIA, NCARB of Leonardi Aray Architects in Cambridge, MA. As you walk into your home, you want to make sure it is warm and cozy, ready to keep you and your family comfortable as winter envelopes us. 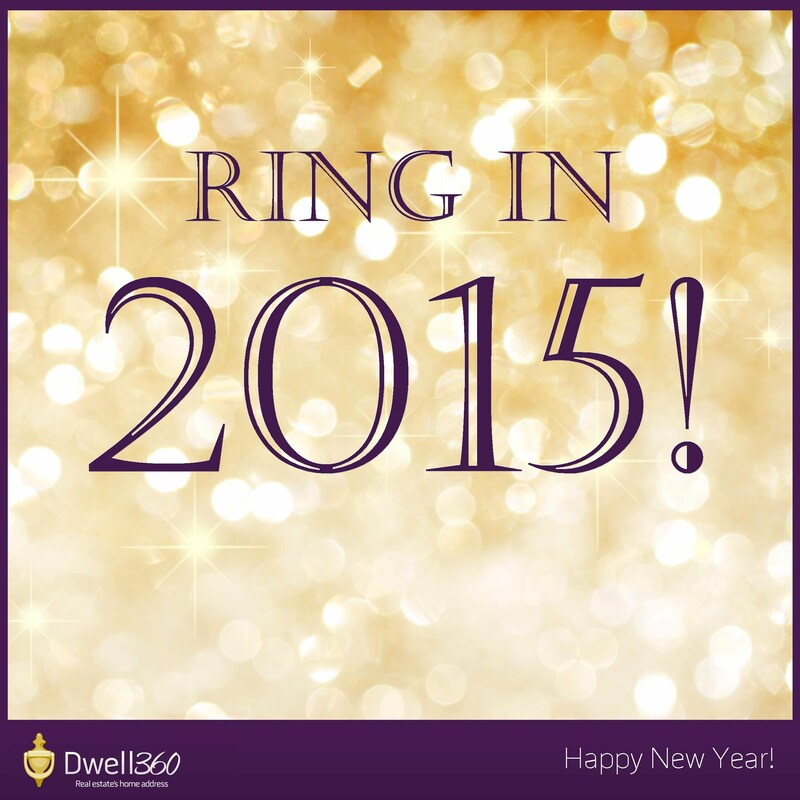 As we enter Dwell360's fifth year in business, we wish you a joyfilled and fruitful new year! Access our free Radon Guide! Check out Dwell360's infographic for some quick facts about radon in the home. To view larger, click here. Radon Part I: What Is It? 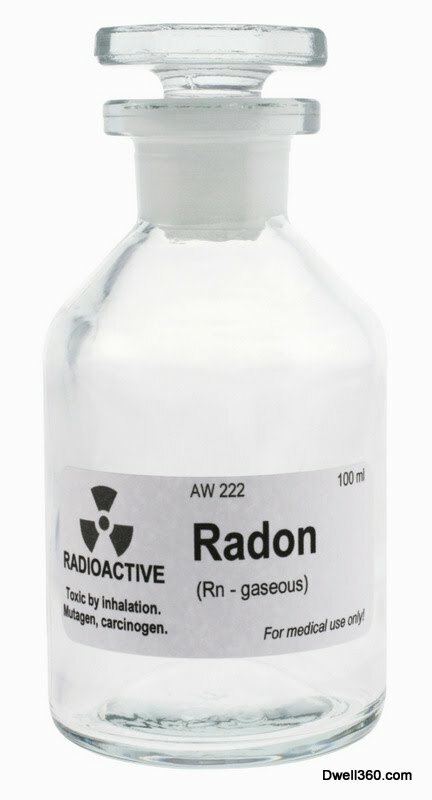 Radon. At first thought, one might imagine an evil villain from an after school special. This name however bears no such identity, though it can be considered the secret villain hiding in an unsuspecting homeowner’s abode. As we approach the holiday season, our thoughts often turn to how we can help those less fortunate. 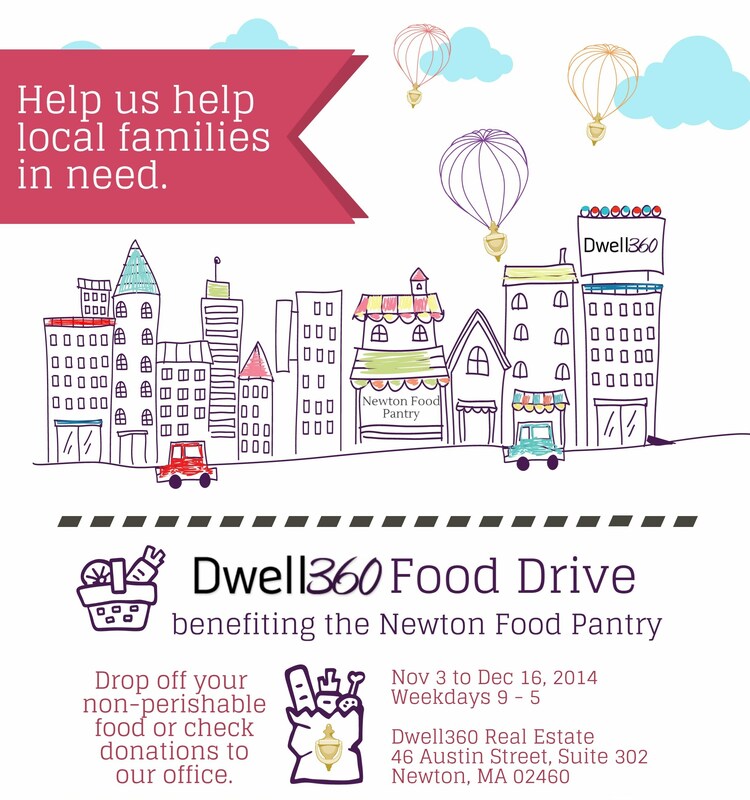 This year, Dwell360 is happy to announce its Food Drive benefiting the Newton Food Pantry. Purple pride shined at Newtonville Village Day! Dwell360 was proud to be a gold sponsor of the Newtonville Village Day again this year! After reading our Mass Save Series Parts I and II as well the informational infographic, it is clear that taking advantage of the offerings by the Mass Save program is a good choice. Not only will your home become more energy efficient, but you’ll end up saving money on your bills because of the changes made. 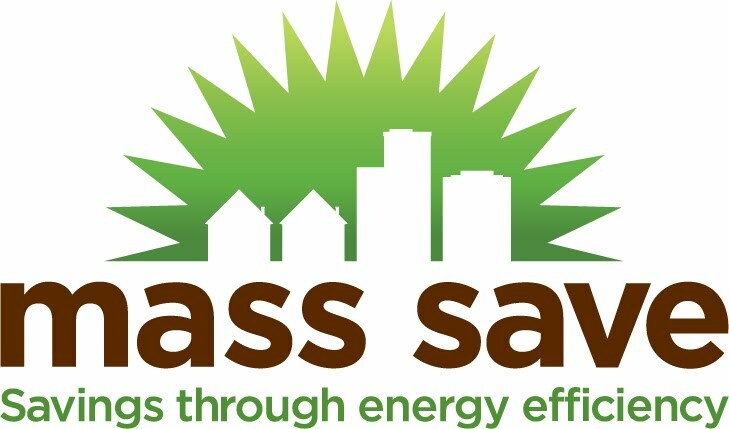 Last week we introduced you to the Mass Save home energy efficiency program and the potential savings for homeowners like you. To give an idea of what a Mass Save experience could be like, we consulted with two homeowners near and dear to the Dwell360 family who have made upgrades made to their homes through this program. Check out Dwell360's infographic below for tips on how to save energy all year long. Improving your home's energy efficiency is helpful not only to the environment, but also to your bottom line! To view larger, click here. How your home uses and distributes energy can have a substantial effect on what your bills look like. What if you knew you were not only paying too much, but that there was a low cost way to ensure a future of savings? Access our Free Moving Guide! Moving Part III: It’s Moving Day! Making a successful move to your new home is reliant on the mover hired to get you there. With so many aspects to consider, it can sometimes be difficult to decide which one is best, or even how to approach choosing. By breaking everything down, further examination of an individual company doesn’t have to be overwhelming. First, you’ll need to establish your individual needs. Massachusetts Ranked the BEST State for Children! The Annie E. Casey Foundation has released it's 2014 KIDS COUNT Data Book, naming Massachusetts the overall best state for children! The first big event of the summer is, of course, the 4th of July! 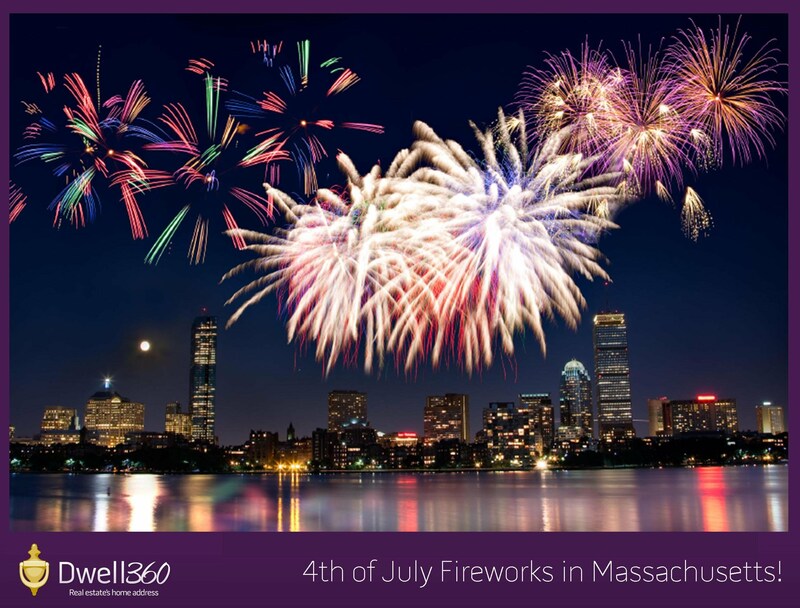 So when and where can you watch 2014 Independence Day fireworks in Massachusetts? What should I look for when determining if I have a mold problem? Testing for mold is not recommending, especially when evidence of growth is apparently present. There are, however, many signs of mold infestation to look for when determining if mold is a problem in your environment. Mold isn’t just white fuzzies growing on old bread in the cupboard; it can be a serious and damaging problem for homeowners. Being aware of what it is and what adverse effects it can have on one’s health is important. Read on to find out more! 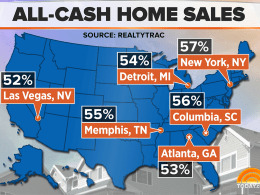 NBC News reports that all-cash deals have hit a record 43% of total home sales for the first quater of 2014. US News & World Report recently released its 2014 rankings of Best High Schools, encompassing 31,242 public high schools across the country. A backyard pool can be a tantalizing prospect. Deciding whether to opt for a pool, however, can be a difficult choice. Whether you're looking for a new home or considering installing a pool at your existing residence, itemizing pros and cons can be illuminating. Working Moms: Does Where You Live Matter? Massachusetts ranks #9 in this article from Wallet Hub! How does your state stack up? Not more than 50 years ago, the amount of women who would forgo a career to care for a family were significantly higher than what they are now. Women are asserting their right to workplace equality, balancing children and a job like men have for many years. The mere mention of termites can strike fear into the hearts of homeowners. Most people know that termite infestation can cause severe damage to a home's structure. 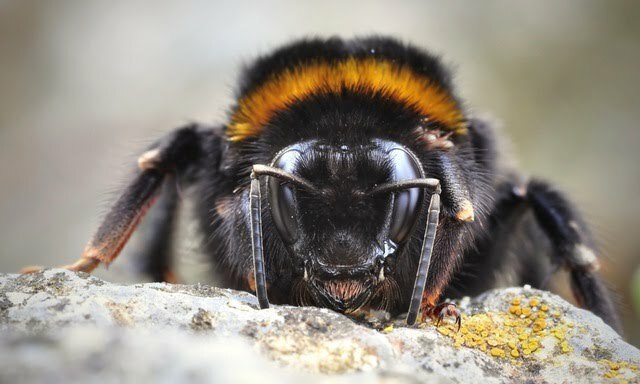 It can also cost thousands of dollars to eliminate the pests and repair any damage, requiring application of topical poisons that can be unpleasant as well as worrisome. Termites 101 - Everything You Need To Know To Protect Your Home! As homeowners, we often find ourselves fully aware of the things going on around us, particularly in our own neighborhoods. We see the moving vans, service trucks, and even the utility repair crew as they move about among the neighboring houses. Despite this awareness, it can be very surprising to learn that most homes suffering from termite infestations have owners with no idea that a problem exists. 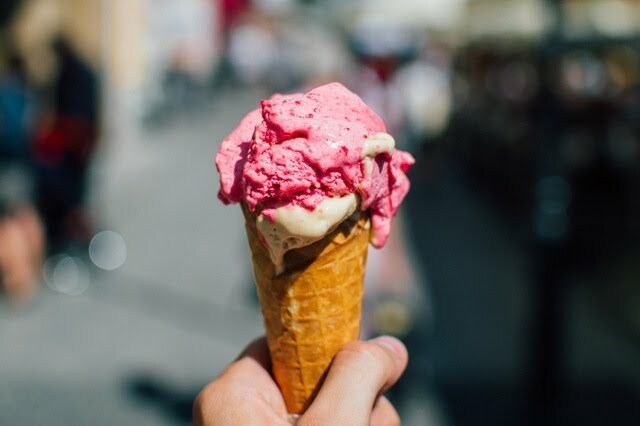 Prior to the widespread availability of central air conditioning, previous generations of homeowners learned to employ some simple strategies to keep as cool as possible during the long, hot, humid days of summer. Now that we have all become more energy-conscious, reviewing some of those ideas can be beneficial. Happy Spring from Dwell360! We hope everyone is enjoying this beautiful day and cheering on those running in the Boston Marathon. Whether retirement has arrived or the children have moved out to leave you with an empty nest, you may be considering downsizing your home. Frequently, life events lead to the decision to relocate to a smaller home. Some people choose this option to simplify life or reduce yard work. Whatever your reason for considering the move, answering some questions first will help you come to the right conclusion for you. Considering DIY Home Repair? Here Are The Top 6 Areas To Go Pro, For Safety Sake! Most homeowners enjoy the challenge of doing some of their own home maintenance and repair work. In fact, the DIY method can be a great way to save money on home repair bills while getting some exercise and developing your skill set. Projects like painting, landscaping, refinishing floors, and woodwork are well suited for the do-it-yourselfer, exuding significant savings for the sore muscles and splinters received along the way. Many adults find buying a home to be exciting and stressful. With the long checklists of tasks to accomplish, how to minimize the impact of the move on kids and pets may be way down on that list. However, following a few helpful tips will ensure a successful move with them. As Spring sneaks over the horizon, so does the perfect time to sell your home. The market is already hot and houses are selling faster than they have in many years due to low inventory. If you’ve been considering putting your home on the market, taking some simple steps to spruce up the interior and exterior of your residence will help to ensure a short run before the buyers start lining up. Our good friend Michele Adrian, AIA, LEED Green Associate has been designing cutting edge homes and offices for more than 20 years. 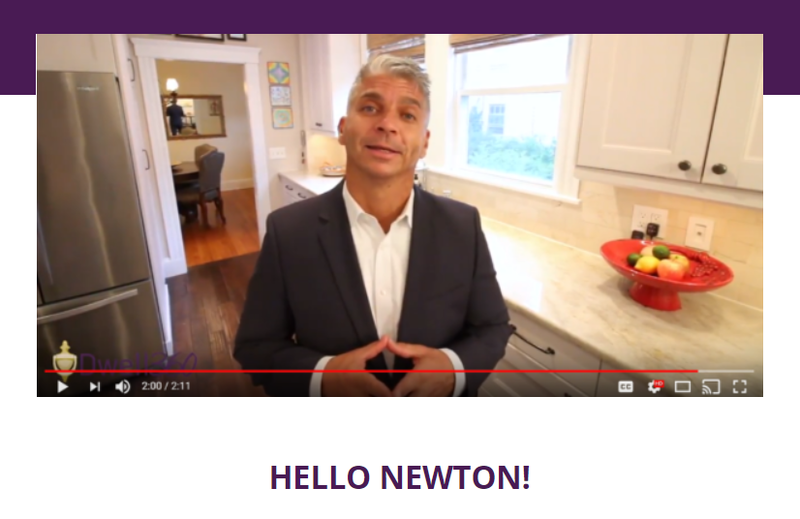 The Newton Real Estate Market is HOT! 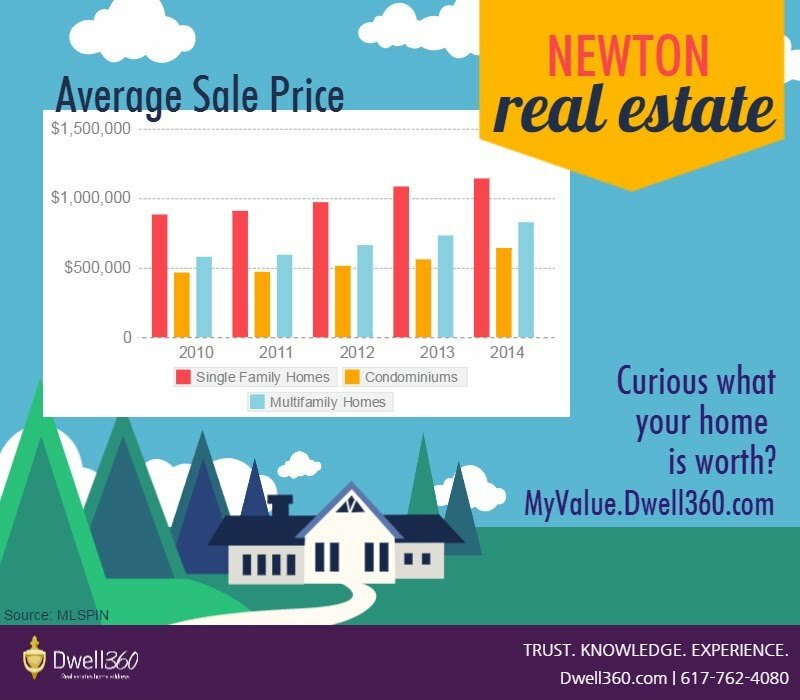 In 2013, the average price of a single family home in Newton broke the $1 million mark! Moving up? Take a look at Natick. Do Finished Basements Increase a Property's Value? Which Home Renovations Are Homeowners Most Eager to Do? Why Rent with a REALTOR®? REALTORS® have industry tools, local resources, market insight, and a professional network to broaden your search results. Landlords prefer to rent to tenants with an agent, because they have already pre-qualified you, thus giving you a better chance of getting the home you desire. Why lease with a REALTOR®? REALTORS® have industry tools, local resources, market insight, and a professional network to help you find the right tenant for your property. REALTORS® can list your rental property in MLS, expanding your marketing and your pool of potential renters. REALTORS® can assist you with appropriately pricing your property in the highly competitive rental market of metro Boston. Happy New Year! Wishing you a year full of success and joy. Happy Holidays! Wishing you a wonderful holiday season and our warmest wishes. The home-buying process can be an extremely trying one, so when you get to the point where you're actually on the verge of buying a home, you probably feel like you’re nearly home free. After submitting an offer on a home and successfully achieving a signed agreement with the seller, your next big move will be to have a home inspection done on the property. As the weather gets cold, home owners often find it difficult to keep their homes looking as beautiful as they do in the spring and summer. Particularly if you are trying to sell your home during the winter, it is important to make your home stand out. 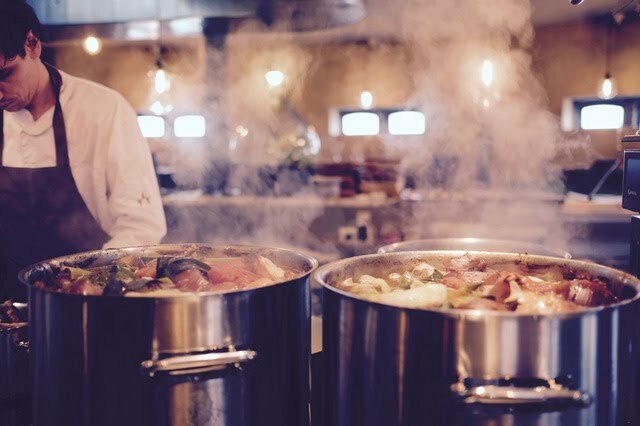 Here are five simple ideas to keep your home looking warm and inviting throughout the cold winter months. Insulating your home is something you know you should do, but is often overlooked in favor of more visible upgrades to your home. In fact, most homeowners do not remember the insulation until there is a problem or issue. Your home should have all insulation points checked, replaced, and maintained each season to save energy and lower costs. In order to reduce your heating costs, consider updating and maintaining the following key areas. 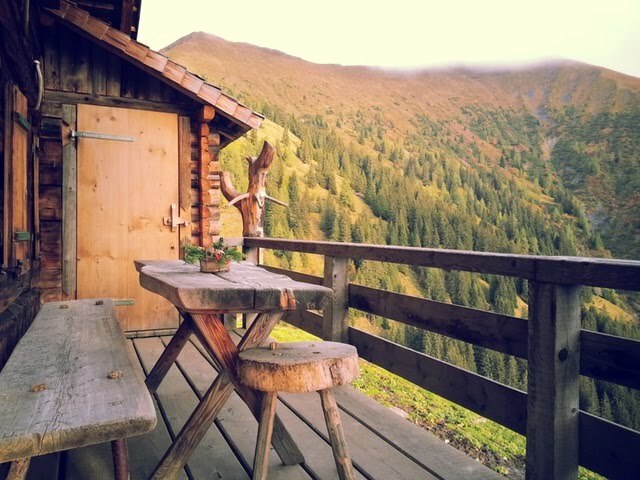 There's something about the Fall season that makes many people want to warm up their homes. Decorating your home for the colder months not only helps you create a welcoming vibe in your home, but it also allows you to add elements to your space that will help keep you and your family warm throughout the cold season. Art and sculptures can help bring the season into your home. Now is still the time to sell your home. Inventory in markets throughout Massachusetts remain very low. The result: prices are on the rise and homes are spending less and less time on the market. Buyers are still actively looking, but with so few homes to consider they quickly find themselves in multiple offer situations. Our local market is hot! CNBC published a report today ranking the most expensive and most affordable real estate markets in the country, and three of our local towns topped the list. Weston, Massachusetts ranks #9 with homes listing for an average of $1,229,000. Wellesley comes in at #16 with an average list price of $1,079,600. And at an average price of $912,745, Newton rounds out the top 25. We hope you have a happy and safe Halloween! Many families choose the town they call home by starting with one key factor: the school district. But everyone has different priorities when it comes to choosing the best school for their children, and tracking down all of the data on different districts can be exhausting. 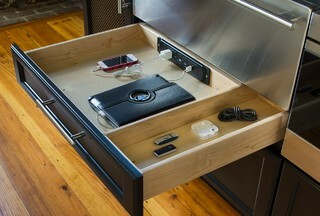 A Great Article From Boston.com | "Home shopping? Be ready to move fast." Stephen Hussey, a Boston-area home inspector and real estate agent, sees it too often: home buyers blowing deals because they simply weren’t ready to compete in today’s fiercely competitive housing market. Newtonville Village Day - A Great Success! Newtonville Village Day was a great success this year! 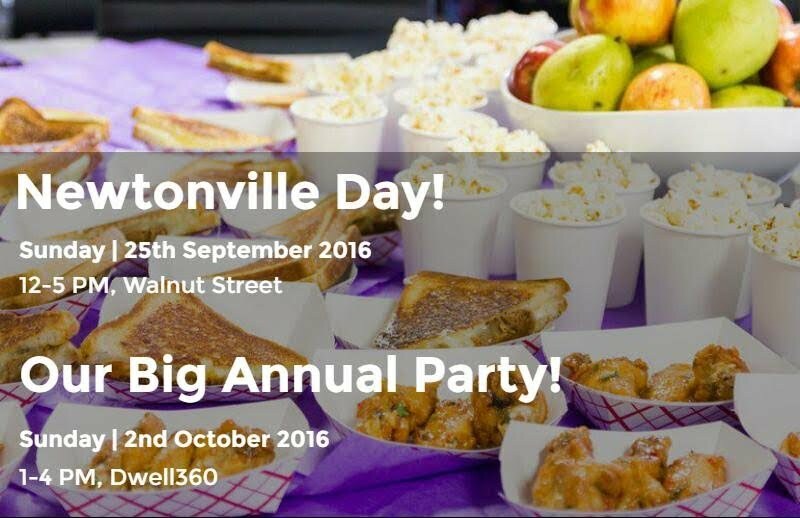 Dwell360 Will Be Giving Away A FREE House at "The Newtonville Village Day"
Dwell360 is proud to sponsor "Newtonville Village Day". We have some exciting activities planned so please stop by our booth! A recent article in the Boston Globe spoke about the rising prices and tight supply of the current real estate market. In effect this has caused a competitive hunt for buyers, and much frustration. These scenarios are especially apparent in high demand areas, with little inventories. 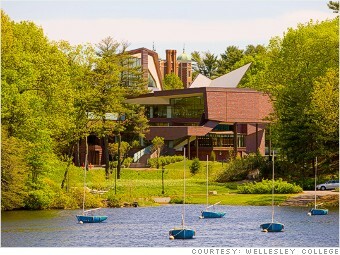 Wellesley Rated Number 11 out of 25 for "Top Earning Small Towns"
In the "The Best Places To Live" by CNN Money, Wellesley, Massachusetts was rated number 11 of 25 small towns in the US. It was selected as one of the "Top Earning Towns" for 2012. Is Buying a Short Sale Property Right for You? Foreclosure rates are at an all-time high—and as a result, more sellers are looking to short sales as a way to avoid the impacts of foreclosures. Short sales can have both pros and cons for buyers and sellers. Here’s how it works and how to make the most of it. The lease is just about up and it is time to make that yearly decision once again. Is it time to purchase a home, or are you content signing a lease for one more year. This is a pretty big question to face, and it is one that requires quite a bit of serious deliberation by all parties involved before a final verdict is reached. Want to Break Into Investment Properties? Consider These Factors Before You Buy. 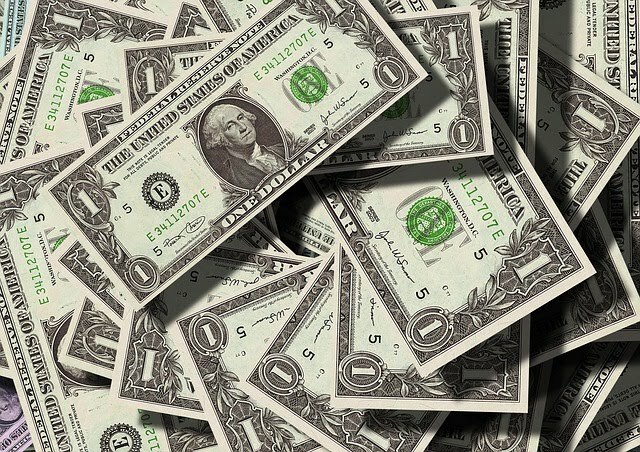 Making money from a rental property seems like a quick and easy investment—but it’s about far more than putting down an investment and waiting for the money to roll in. If you own a home, you already know that home ownership involves maintenance, time, and personal energy. Popular home renovations will almost always bring you a higher selling price on your home. Therefore, it's very important that you do your due diligence when it comes to researching the upgrades that are best for your home. Learn which ones will bring you the biggest return on your investment and which ones will not. Vacation homes are a growing source of real estate activity. Vacation home sales rose by 10 percent in 2012, while the number of homes sold to investors fell. That's according to the National Association of Realtors' 2013 Investment and Vacation Home Buyers Review published in April of 2013. The publication tracks trends for both new and existing homes that enter the vacation and investors' markets. 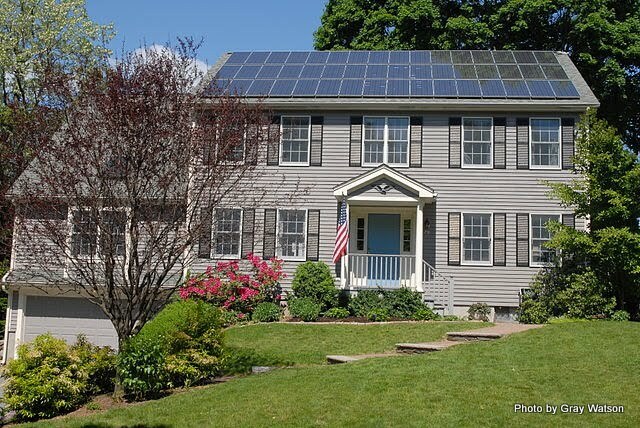 If you would like to learn how to create a more environmentally friendly home, here are five ideas for "going green" while making home improvements. A tankless water heater contains coils that heat your water on demand instead of keeping a 50 gallon water heater hot twenty four hours a day, every day. Additionally, a tankless water heater will not run out of hot water. Why worry about radon? In our two-part blog series on radon exposure in the home, we’re covering this sneaky gas—what it is, and why it matters. Last time we covered the basics on radon’s chemical makeup and health risks. This time, we’ll turn our attention to the details of radon testing. Radon is a significant health risk. 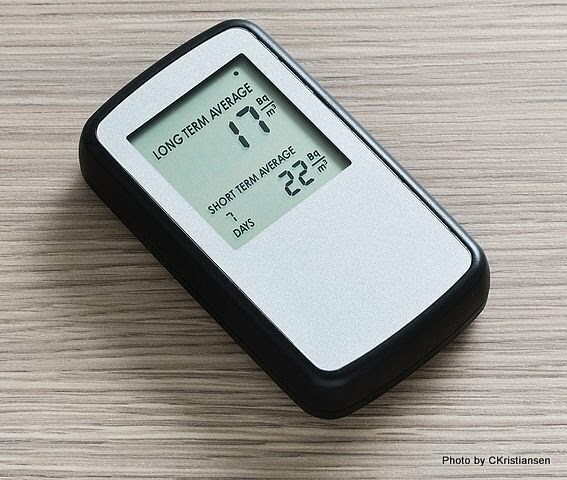 It’s enough of a risk that we’re actually going to take two blog posts to cover the issues relating to radon toxicity in the home. Today, we’ll have a look at the basics—what it is, how it can get into a home environment, and why it can be dangerous. Next time, we’ll cover potentially lifesaving information on radon testing. Before a buyer makes a decision on your home, he or she will likely want to attend an open house event. Here are a few steps you can take to make your open house a perfect marketing strategy. Putting your house on the market can be frustrating and exhausting. Homes can stay on the market for months before an interested buyer takes notice. You can expedite the process, however, by employing a few basic marketing strategies. 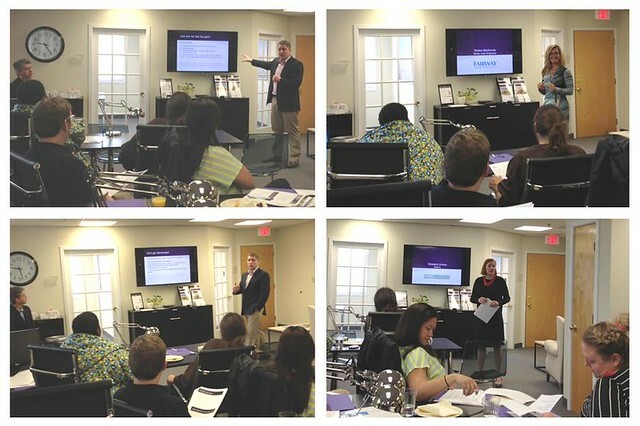 Dwell360’s Home Buying & Selling Classes on May 11 were a great success! Buying a home for the very first time can be an exciting adventure that results in a quaint and charming dream home in which you will start a family, create a life, and build a successful future. Finding this charming house, though, often requires a not-so-charming process. If you are a first-time home buyer, consider this short list of do's and don'ts that will help you do the right things while avoiding common first-timer mistakes. Are you considering buying or selling a home? Curious how the market has changed recently? Our thoughts go out to our friends, clients, and everyone affected by this Boston tragedy. The Boston Marathon is an important event to the residents of Massachusetts and will always continue to be a special event. We are proud of our first responders, our city, our world class medical facilities, and the people that are the heart and soul of this wonderful place we call Boston. Today’s kitchen is a quick-change artist that adores families and loves simplicity. If you’re looking to remodel your kitchen, we’ve got good news and bad news. Before you sell your home in the Boston area, it's important to make a few cosmetic fixes. These five inexpensive home repairs will get your home in tip-top condition before you put it on the market. The real estate market in Boston is hot! 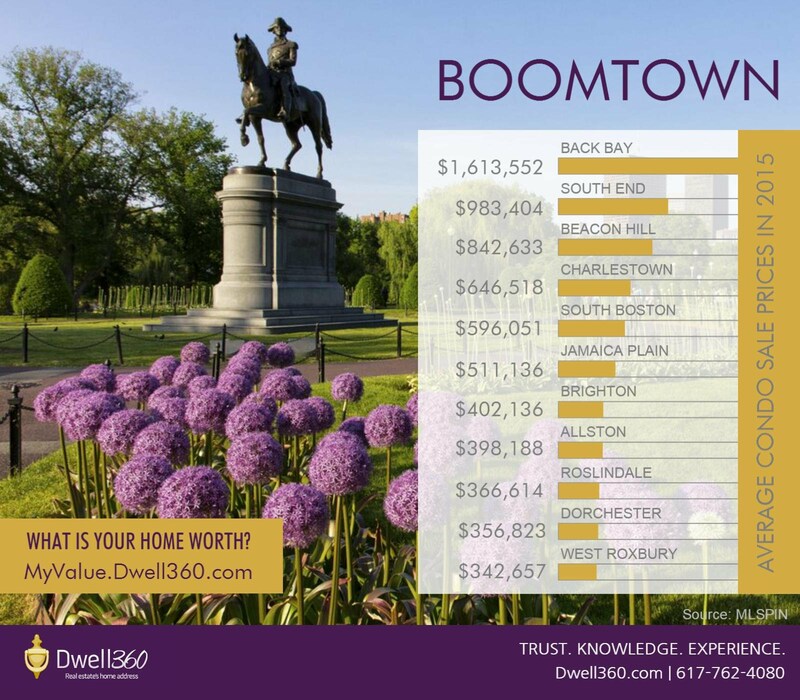 At Dwell360, we keep our finger on the pulse of the real estate market in Metro Boston. To that end, we have produced 2012 year end market reports for more than 20 towns in the area. They contain residential market data and statistics for the sales of single family homes, condominiums, and multifamily homes over the past ten years. Which tax benefits do home owners miss? Will you get audited if you take the home office deduction? Find out the answers to these questions and more before Tax Day. There are a lot of home ownership tax benefits — if you don’t forget to take them. To make sure you get your due, HouseLogic asked tax expert Abe Schneier, a senior technical manager with the American Institute of CPAs, for tax-filing tips. 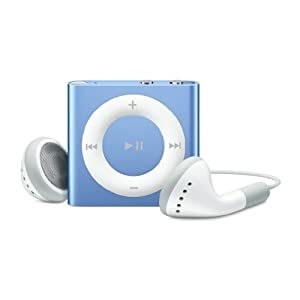 Donate a toy for a chance to win an iPod Shuffle! Drop off a new, unwrapped toy for Toys for Tots at our office by December 17th and you can enter to win an Apple iPod Shuffle from Dwell360! at 46 Austin Street in Newton. This holiday season, help us help kids in need by dropping off a new, unwrapped toy at our office by December 17! We are open 9am - 5pm Tuesdays through Fridays at 46 Austin Street in Newton, MA. As long as you’re remodeling, why not cut your utility bill and make your home a bit healthier? Thanks for attending our Fall Festival Open House on October 28th! We hope to see you in our neighborhood on Saturday, September 29. It looks like it will be a fun day with activities for the whole family, including rides and face painting for the kids and live jazz 10am-5pm. You can unleash the DIY powers of the iPhone 5 when it’s released soon with these handy home improvement apps. Like most home owners who love their gadgets, we’re eagerly awaiting the release of the iPhone 5. To prepare, we’ve pinpointed 5 home apps we can’t wait to try on the new Apple toy. FYI, these downloadable tools will work on your current iPhone too. Dwell360 Has Moved to a New Office! Real estate’s home address has a new address! 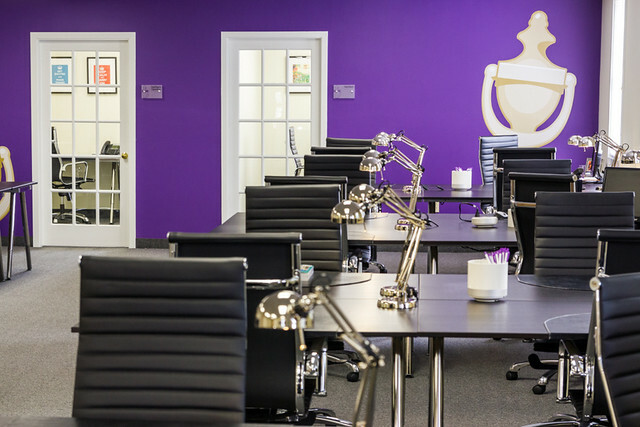 We are excited to announce that we have moved into a beautiful new office space. We have lots of windows, an open flexible work space, a resource area, four conference rooms/private work areas, and plenty of parking. Summer is traditionally the time when home improvement projects get done, but did you know that summer renovations can be cheaper, too? 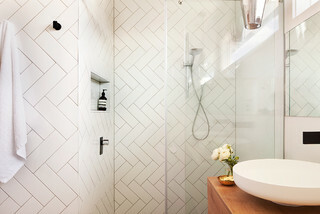 MSNBC.com has a list of five home renovation projects that are cheaper or more efficient to do in the summer, and while some of them are obvious — landscaping and installing an in-ground pool, for example — others are somewhat surprising. 6 Green Terms: Which Ones Can You Trust? Does “natural” mean organic? Should you buy anything labeled “non-toxic”? Here are the truth and eco-facts about many of the green terms you find on product labels. Understand which mortgage loan is best for you so your budget is not stretched too thin. The most important features of your mortgage loan are its term and interest rate. Mortgages typically come in 15-, 20-, 30- or 40-year lengths. The longer the term, the lower your monthly payment. However, the tradeoff for a lower payment is that the longer the life of your loan, the more interest you’ll pay. By lowering the acceptable levels of lead in blood, The Centers for Disease Control has renewed the assault on environmental lead, often found in paint in older homes. The Centers for Disease Control and Prevention recently released new, stricter guidelinesfor assessing lead poisoning in children. When a Tree Dies, Do You Feel It? Have you ever lost a tree that was like a dear friend? Then prepare for heartbreak. We’re going to lose many dear friends to the emerald ash borer. Home sales rise, foreclosures fall, and the latest national flood insurance deadline looms. In our Friday Five roundup of top housing news, we look at a return to traditional home sales: With rents on the rise across the country, many are taking advantage of low prices and short sale opportunities to trade in their lease for a mortgage. Also this week, we begin the countdown for national flood insurance reauthorization, which is set to expire at the end of May 2012. A few hours of exterior home and yard work can add thousands to your home’s value. April 28 and 29 marks Nationwide Open House weekend — the unofficial opening day of the spring real estate season. Since curb appeal strongly influences home values, it’s a great weekend to spruce up your own yard, especially if the neighbors are trying to sell their home. Investing in real estate can seem overwhelming and reserved for the very rich. In the current economic conditions and marketplace, it may even feel a bit too risky. But if you’ve ever thought real estate investing may be right for you, this is a great time to learn about your options and how it can be done by almost anyone. The title of this entry is over-the-top, I admit, but I am just here to stick up for the landlords out there who are trying to do some good. The word “landlord” in itself has some negativity associated with it, and the use of “lord” in this context is distasteful in our American sensibility. In media, landlords are portrayed as misers ready to make a buck on the poor and take advantage of families. No one wants to hear this, but I’m saying it anyway. Real estate is the best long-term financial investment. Phew…that’s a relief. 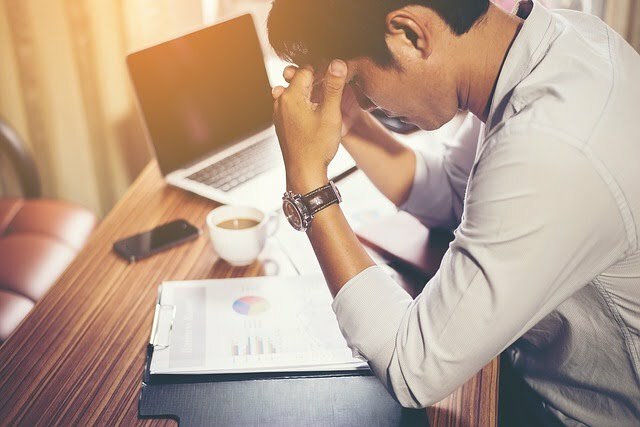 With the real estate market in the dumps for several years now, it is not easy to get back into the pro-property mind-set. But, it is exactly at these times that you should be considering expanding your real estate portfolio. Why Hasn’t Your Home Sold? In the market of exasperated and exhausted home sellers, I hear a lot of great stories about why homes are not selling. They usually divide into two categories: the real estate agents not doing their jobs or the sellers are uncooperative. Either type of story leads to the same place: how are you marketing and showing the home? Are You Prepared for the Next Time the Earth Shakes? If you have a toddler who thinks midnight is a great time to hit the playground without you, or a dad with Alzheimer’s who gets lost a block from home, you need to know when someone heads out the door (or a window) of your home. We have launched a careers website for experienced agents looking to explore what our borkerage, Dwell360, has to offer you. Visit the site and let Ed and I know if you have any questions. Father’s Day is Sunday. And you’re wondering how to thank the guy who taught you to wield a putty knife, and to shut the door and quit heating/cooling the outside — for crying out loud! You could buy him something. But how many World’s Greatest Dad mugs and barbecue mitts does a guy need? Instead, spend a little time. Do some chore that Dad would otherwise do. Finish a project he hasn’t had time to complete. Our client wrote us a wonderful testimonial about our real estate services. It can be read on here and on our Zillow profile. We appreciate the kind words. John provided excellent professional service over a 9 month period while we relocated from the west coast to Newton. He kept us in the listing loop but did not push the process. When we did finally settle on "the House"
Dwell360 presents a market report for the residential real estate sales for the City of Newtonn Massachusetts. It is always fun to take a look at real estate market data. 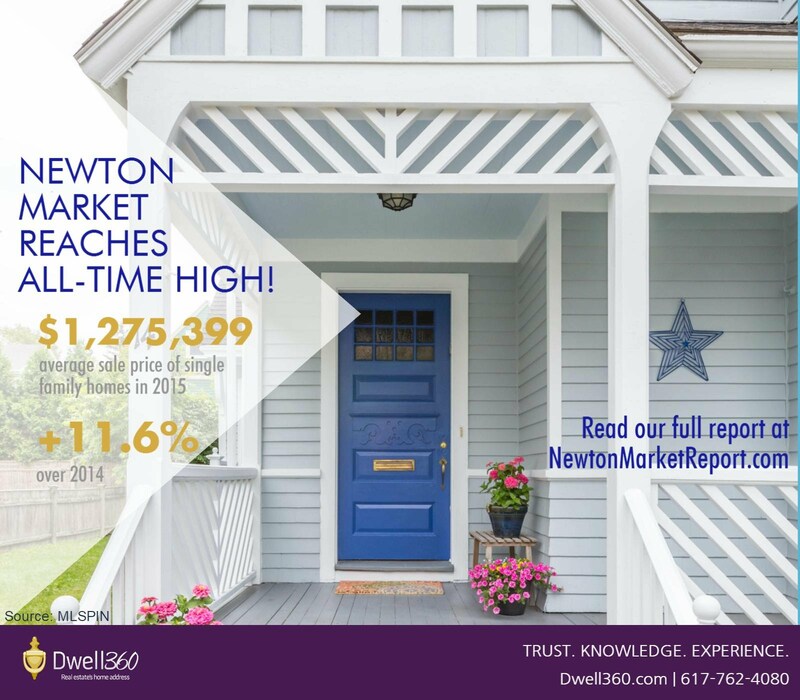 Take some time and look at this market report for the City of Newton. The report reviews the residential real estate markets for the past 8 years. 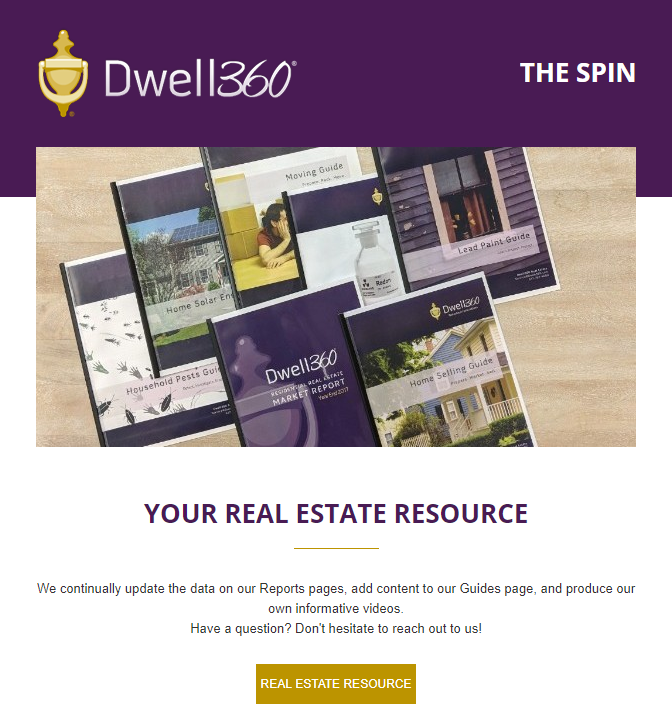 At Dwell360 we have a wealth of real estate information at our finger tips. Market reports are typically one of the most requested by our clients. 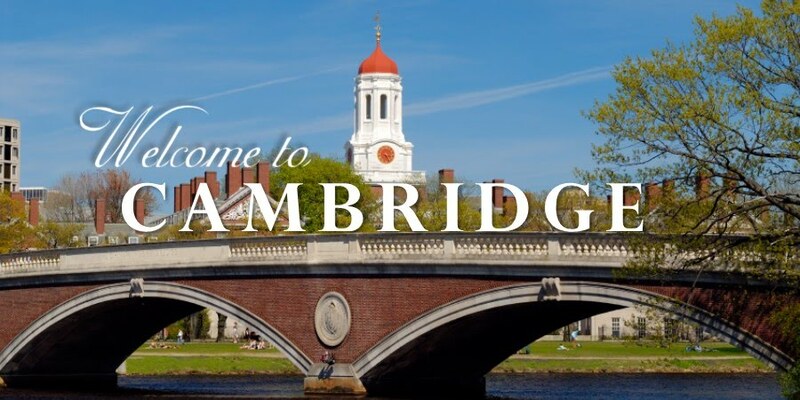 Click the link to view our real estate market report for Cambridge Massachusetts. The report reviews the residential real estate markets for the past 8 years. Real estate and the overall residential markets are the topic of conversation on a regular basis. Here at Dwell360 we live and breathe real estate. That is why we keep a close pulse on the market statistics for the towns in and around the Meto Boston area. We have a number of reports on file. So feel free to send us a result for a particular town. In 1860, J.W. Black took this photo from Samuel A. King's balloon while tethered over the Boston Common. It is the earliest aerial photograph taken in the United States. An interesting piece of history. 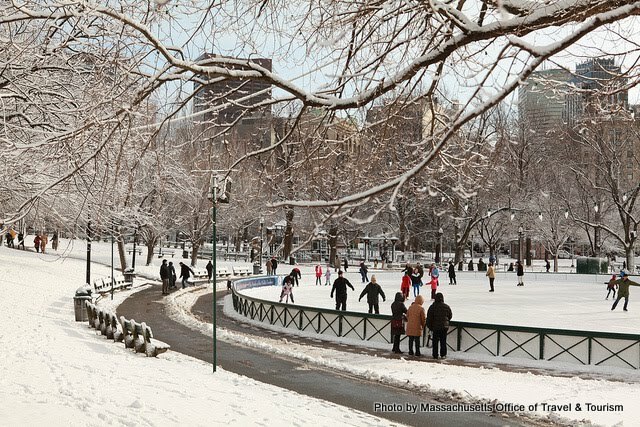 The photo is from the Boston Public Library's flickr page. "Town of Wayland remains on solid financial footing"
We hope everyone is enjoying the snow today! We are enjoying working from home today. Keep safe and warm. According to CNN Florida seems to be the only state that has not gotten snow today. 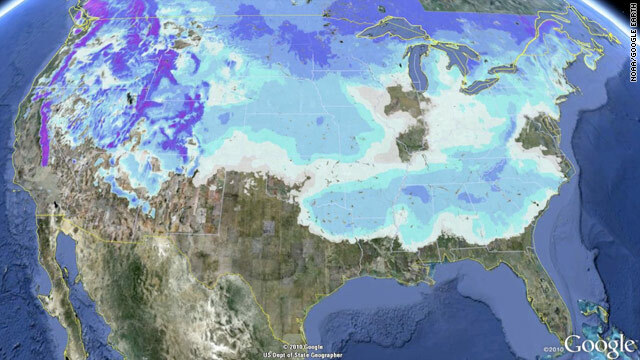 "After big snow and ice events in the Southeast, Plains, and Midwest this week, 49 out of the 50 states currently have snow on the ground – yes, even Hawaii, where snow falls in Mauna Loa and Mauna Kea all winter." We wish everyone a happy and healthy new year. We hope your 2011 is a wonderful year. We wish our friends, family, clients, and colleagues the warmest and happiest holidays and prosperous New Year. We are blessed to have such loyal and supportive friends – Thank you. Warm wishes from everyone at Dwell360. 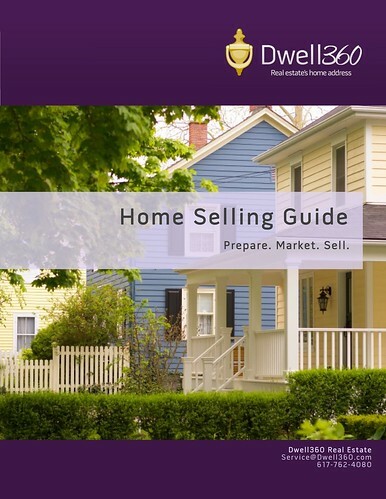 When you are considering selling and buying your home there are a few things to consider. HGTV's FrontDoor.com creates a good list to consider in their article "Buying and Selling Your House: 11 Resolutions for 2011" By Geoff Williams, published: 12/21/2010. What would you say if I said the average price of a single family home in Newton Massachusetts is up? It is true. The average sale price is up 3.63% in the Garden City. A client needed some real estate sales data and some of the figures we compare was 2009 and 2010 sales data in MLS for closings for each year for the time range of January 1 – November 15. As our real estate firm Dwell360 moves forward we have some great things in store for the world of real estate. As we sit in our Newton office we have been planning the future of our firm and forecasting how the real estate market will develop in the coming year. We also are paying close attention to how the industry itself will change. One factor to consider when looking buying a home is the cost of insurance. It is a topic that is often overlooked by buyers during the process of their home search. But, the cost for insurance, average of $900, is with you for the life of ownership and you take time to consider the implications. If you already own your home and it is vacant or unoccupied you should take a second look at your policy. Is Zillow’s property valuation the “Zestimate” accurate? No, It could be off by 20%. Property valuation websites have a lot of information to offer. They provide details on properties, sale history, tax information, and estimate the value of the home. As a result, they become a topic of conversation with our clients on a regular basis. The only issue is we often find ourselves explaining to clients why the site is not always accurate. What are we doing different? We have an understanding of the customer of the future. We know what they need today, what they will need tomorrow, and what they will require in the future. 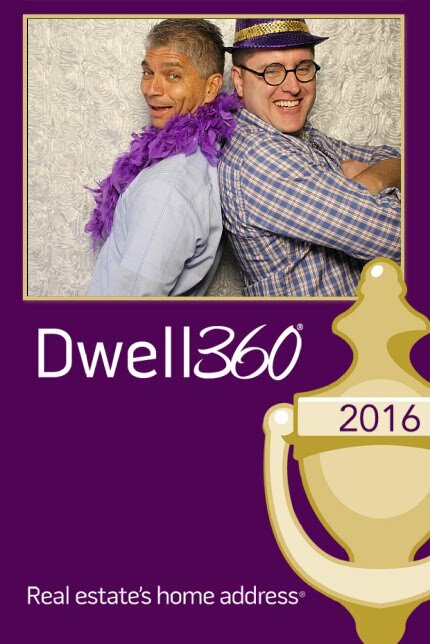 Life at the Dwell360 real estate brokerage remains exciting! All we have been hearing lately from our past and present clients, our friends, and everyone else is how great of an interest rate they can get. Our mortgage contacts and real estate attorneys have been super busy with the recent refinance boom. We have heard people getting rates from 4 – 4.50%. Come visit our listing: 104 Willow Brook, Wayland, Ma 01778. Single family homes in Newton, Cambridge, and Brookline Massachusetts for the period of 1/1/2010 - 8/15/2010 compared to the same period in 2009 has shown solid results. The average sales single family price and total number of sales have increased. We have just listed a wonderful Brighton condo in the heart of Cleveland Circle. Year to date, 1/1/2010 - 7/1/2010 we have seen 157 condos sell in Brighton with an average sale price of $295,724. It has been an active time and is becoming a great time to get into the market. 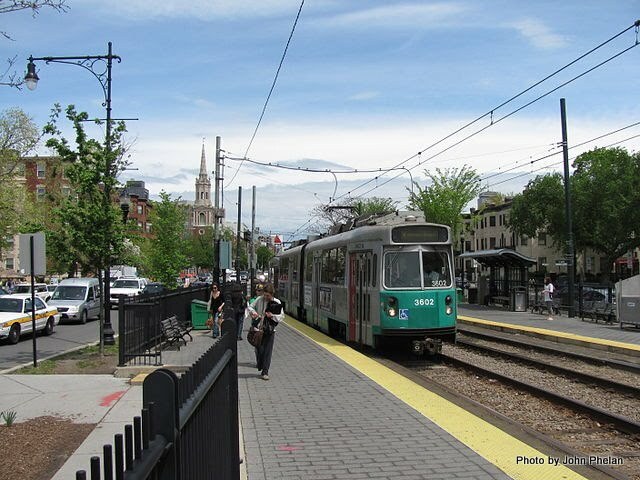 Brookline Massachusetts is an exciting town and great Boston neighbor. 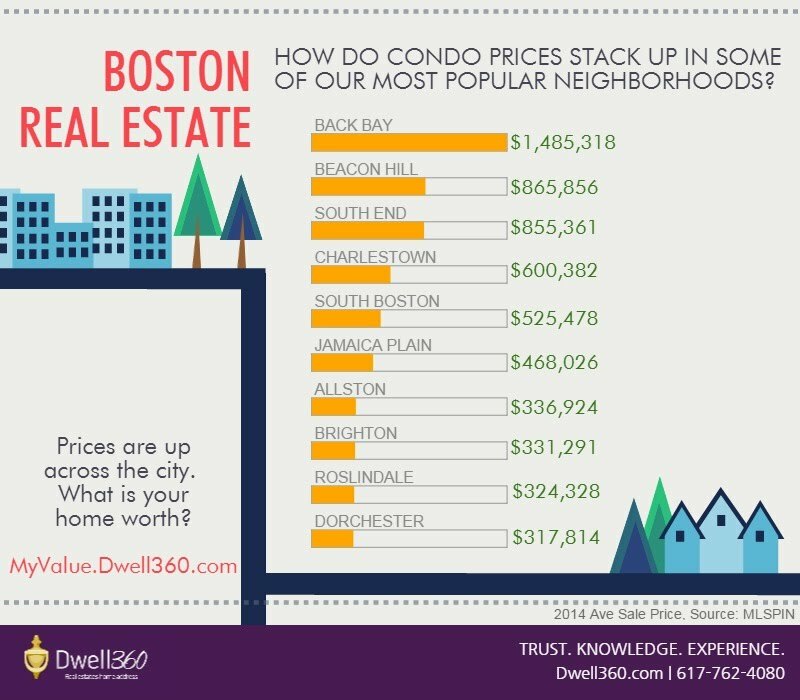 The average sales price year-to-date (1/1/2010 – 7/1/2010) for a condo in Brookline is $526,176 with 291 condos sold. Our newest listing 7 Verndale is a great opportunity to become a past of a great community rich in history with a strong real estate market. We are excited to present 61 Quint for sale. It was about five years ago when we represented our client in the purchase of this great property. It has been a great home and as great things happen it is time to move on. We could not have been happier to get the call again to help sell the condo. 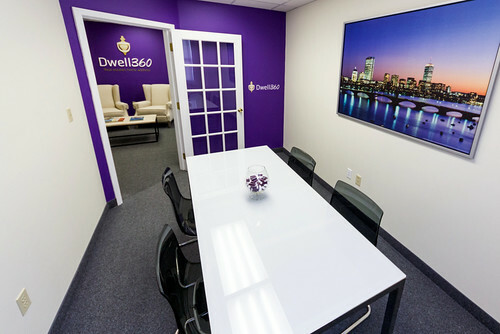 Just a few days ago Ed and I left William Raveis Real Estate to begin opening our new firm Dwell360 (Dwell Three Sixty.) It has been an exciting few days. At this has been taking place I picked up and flew to California to attend the Inman Connect an innovative real estate conference. Ed has been powering all the progress back at headquarters. Come visit our new listing this Sunday at the open house from 1:00pm to 3:00pm. 104 Willow Brook, Wayland, Ma 01778. 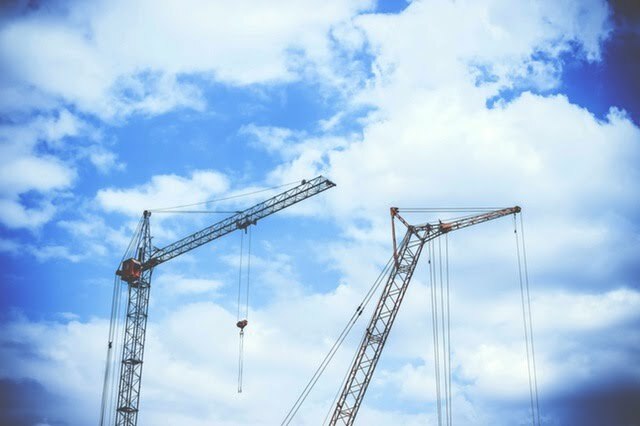 The month of April was a bit busy with quite a few closings for John Lynch and Edward Johnston of the Johnston Lynch Group. Our clients found some great home, have started to move, and we look forward to see how they get settled. I recently heard this on the radio and just found the site. Scotts the grass seed and fertilizer company is providing the Fenway Park Grass Seed and Lawn Fertilizer. If you can get your grass to look like Fenway Park that would be great. Great to look at and great for your property value. What is going on this month? It has been a busy few months. Ed and I have put under a very solid number of properties under agreement in the last month. It has been exciting and the activity stills continues. We have put listings under agreement and buyers have secured properties. But, there is more work to be done. Friday there was 11, Saturday was 9, and Sunday finished with 6. A combination of single family and condos in Newton and Brookline. It has been wet, very wet, here is Massachusetts. To the point that FEMA announced that federal disaster aid has been made available for the Commonwealth of Massachusetts. This is a significant resource for the state to help correct the damage of these major rain storms. 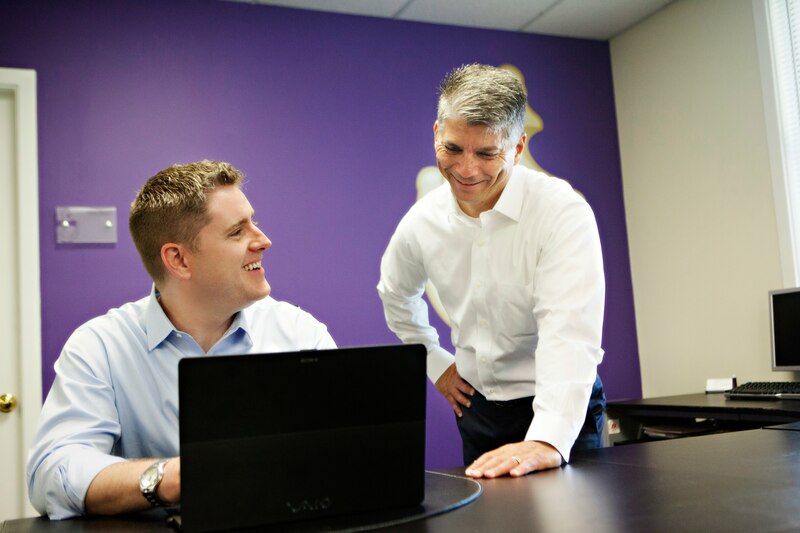 Today, Ed and John are launching their team website, www.JohnstonLynch.com. The new website is a new platform that will help us get information to our clients faster and be more effective in our marketing efforts. When you buy or sell a home you will need to retain the services of professionals. The following names should complement other recommendations you might receive from friends and family. Then choose the professional that fits your needs. Our relocation agents have had extensive experience with clients moving into or out of the suburbs and cities of the greater Boston area. We have been trained by top relocation companies and are certified to manage their clients. As your REALTOR®, the Dwell360 team can manage every aspect of your quest to find the perfect home from the beginning of your search to the closing. A buyer will be faced with a maze of forms, financing decisions, inspections, marketing, pricing, and negotiating. It only makes sense to work with a professional who knows well the Massachusetts communities and the process of acquiring a home. We truly enjoy being REALTORS® and have the experience to prove it. Our group has sold more than 150 properties in Massachusetts over the past few years. Our experience is with "today's market" - a challenging time - but one in which we have found success. We remain active visiting homes, working with sellers, and listening to buyers to refine our knowledge of the market every day.